OLIVER SAMUELS stars in DIVORCE PAPERS – A Black History Month Special! 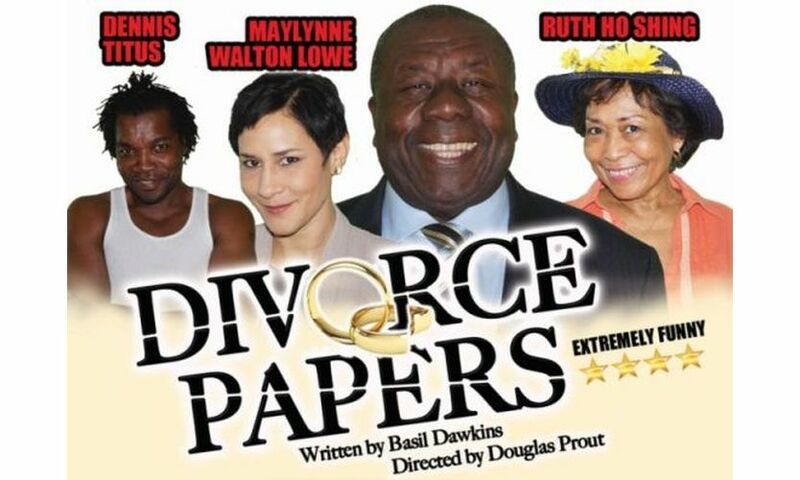 Jamaica’s king of comedy OLIVER SAMUELS is back with a black history month special for 2015 DIVORCE PAPERS tackles a serious issue while laced with humour. After cohabiting as man and wife for over three decades, Augustus (Samuels) and Grace Goffe (Ho Shing), an aging upper-middle-class couple, can hardly stand to be in the same room with each other, let alone share a civilized conversation. The opening scene depicts Augustus laying the divorce papers on the living room table. Accusations of infidelity fly left, right and centre, and between Augustus’ belligerent temper and Grace’s pent-up bitterness over his fling with the maid, their house is no longer a home. Small wonder that Grace finds solace in the arms of her youthful bodybuilding lover-boy Wayne (Titus), whom she supports financially, while Augustus strikes up a frisky romance with his attorney’s gorgeous assistant Stacey (Maylynne Walton Lowe), who offers him a listening ear and a shoulder to cry on. But is Stacey secretly expecting a big favour in return? Is Wayne a straight-shooter, who genuinely cares for Grace, or just an opportunist looking out for himself? Can Augustus and Grace find common ground amid the chaos to rekindle the passion on which they built their matrimonial home? Directed by Douglas Prout arguably one of the most in-demand directors in Jamaica’s busy theatre circuit. This play is not only for persons who are divorced or who are contemplating divorce, but for all persons interested in romantic relationships.